Not long after I moved from London to Norfolk, my passport expired. Years ago, I would have renewed it immediately, without giving that a second thought. When I got my first passport, in the 1960s, it made me feel very grown up. 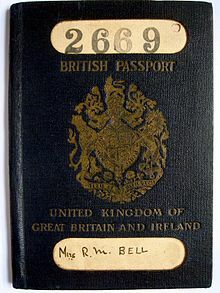 UK passports used to be blue, with a hard cover. They felt like a very official small book, and the old-fashioned words inside imbued the small document with a sense of history. Even the cover was impressive, and though I was unhappy with the photo of myself, I didn’t mind. After all, who likes their passport photo? Once I started to use it to travel abroad, I was excited to see the stamps placed inside it by foreign customs and immigration officers. Dates and places, foreign languages inside the oblongs or squares. They were often stamped carelessly, with no attempt to center the mark on the page, or to follow on from previous stamps by using the same page at the back. For me, that all added to the mystery of travelling abroad. As I ventured further afield, I got new stamps and visas. These were often distinctive and quite lavish, as in the case of my trip to China. I was also disappointed to discover that some countries only stamped in the accompanying visa, (like the DDR) so I returned home with no visible evidence of my trip. When the first passport expired, I applied to have it returned to me with the new one. They would cut the corner off to invalidate it, but I still had the opportunity to look back on my old stamps with fond nostalgia, and to smile at a photo of me taken ten years earlier. 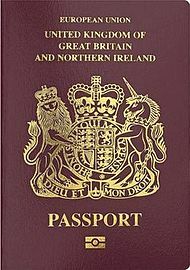 When our passports were changed to EU national documents, the colour changed to red, and they were more like a thin ‘paperback’. But I still got my stamps in them. I last used a passport to travel to Prague, in 2011. Since then, I have not ventured outside of the UK. 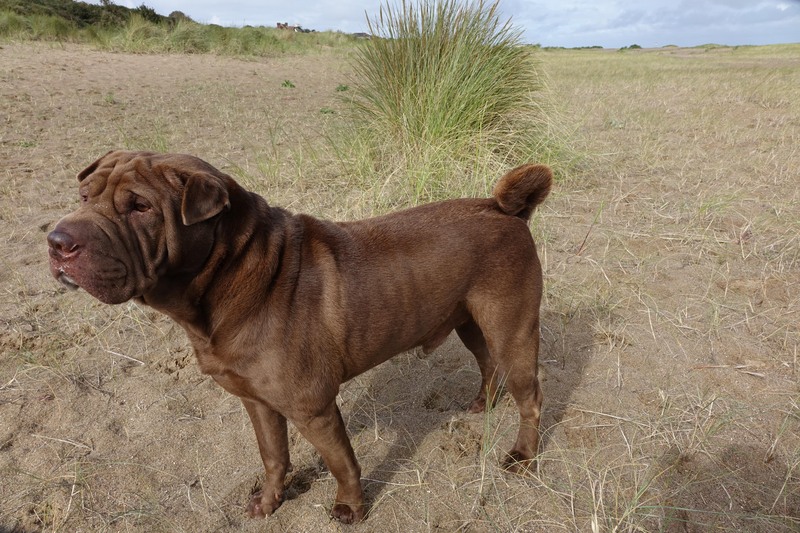 One reason was that we got Ollie in 2012, and didn’t want to leave him in kennels so that we could go abroad on holiday. There was also the expense. 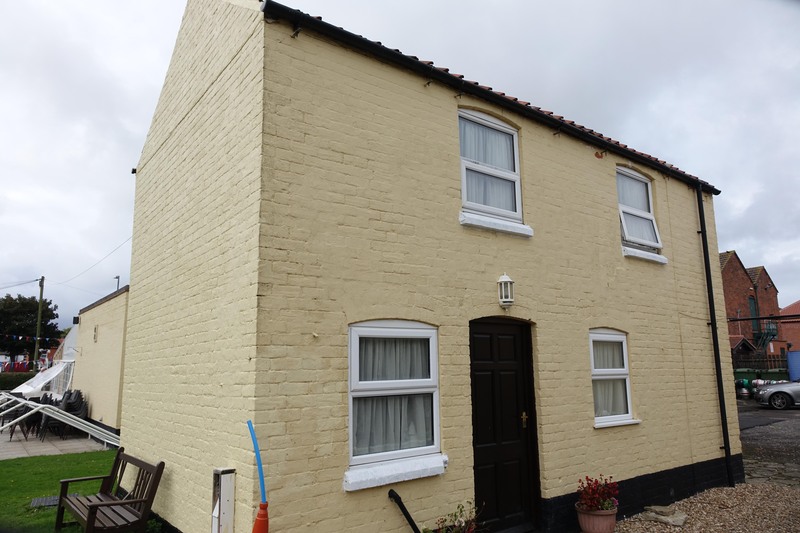 On a retirement income for me, and lower salary for Julie, it seemed unlikely that we would ever have the money to explore places we hadn’t already seen, short of an unexpected inheritance, or lottery win. 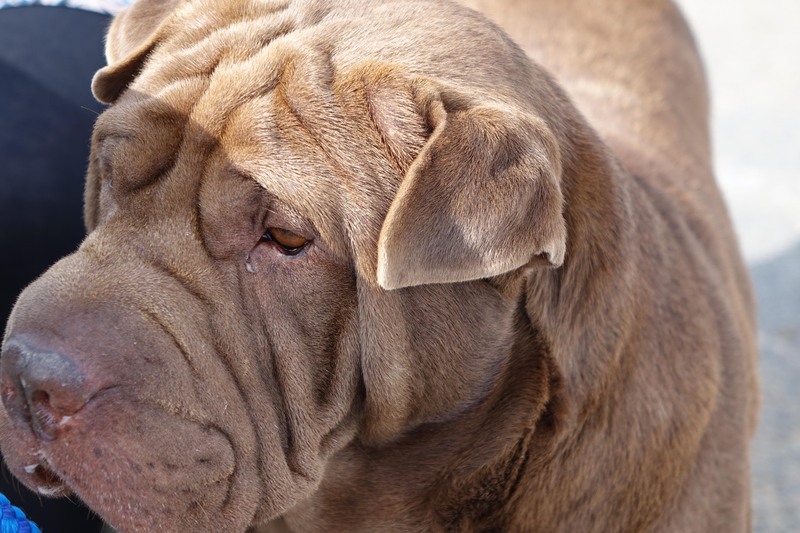 Even if money became available for some reason, that still left the problem of what to do with our much-loved and loyal pet dog. Almost seven years later, and I have settled into the idea that future trips abroad are unlikely. If they ever do happen, they will probably be no more than a weekend city break, so Ollie can be accommodated with friends or neighbours. My passport has still not been renewed, and sits in its ‘safe place’ in a drawer. I don’t even need it as an I.D. document any more, as my driving licence or bank card is acceptable almost anywhere. Almost fifty years after I received my first passport with excitement and expectation, I am now wondering if I will ever need one again. All photos can be enlarged for detail, and look much better that way. 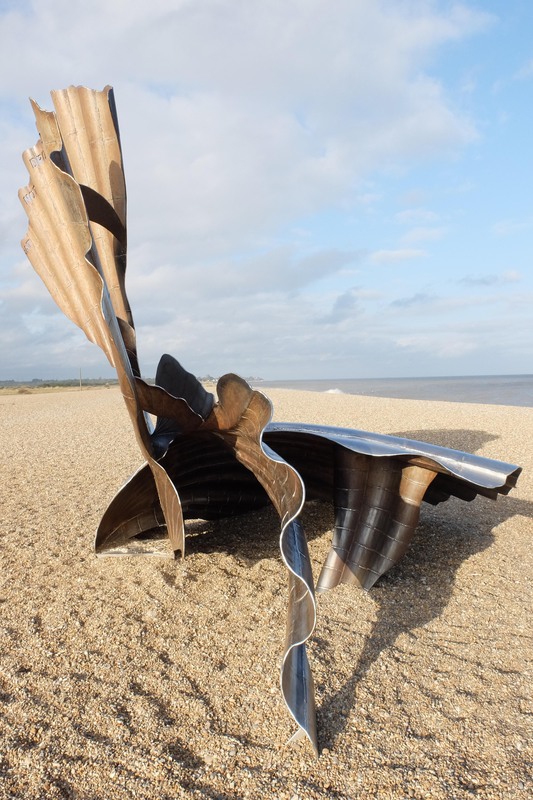 The Suffolk coastal town of Aldeburgh has been a settlement since Roman times, when it was used for the production of salt. It later became very prosperous, and was a thriving fishing town. 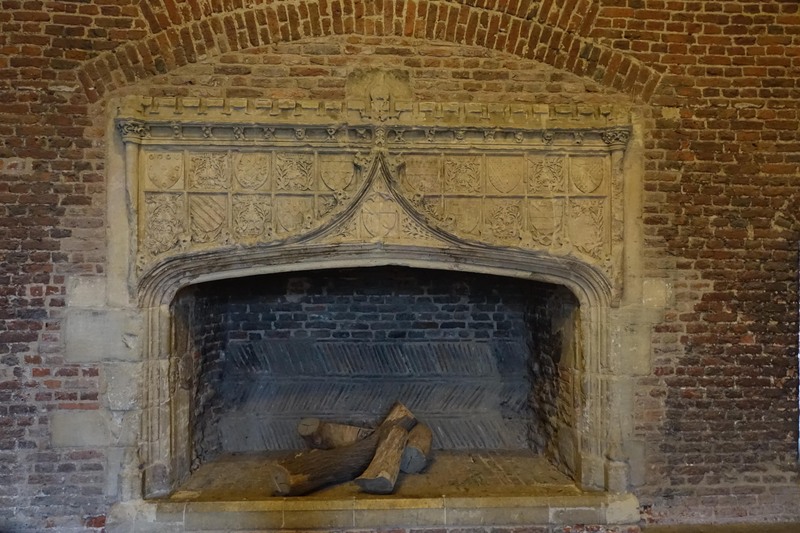 The local museum is housed in the Moot Hall. (Meeting hall). 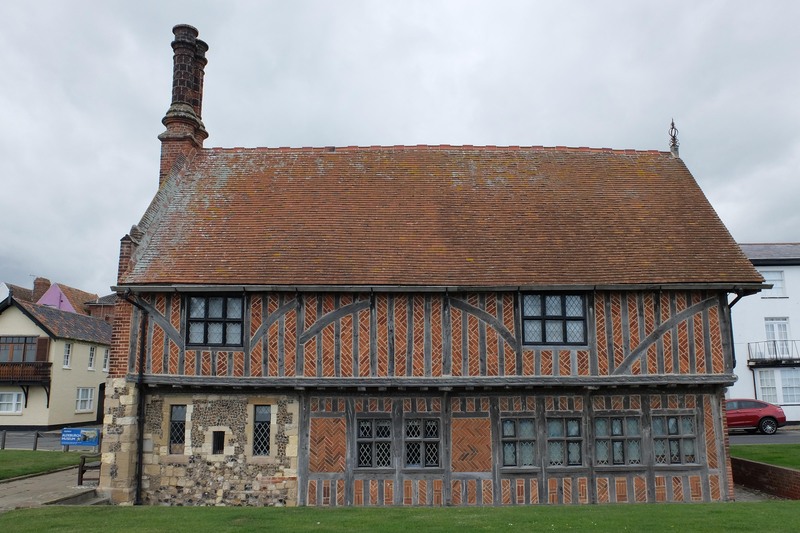 This building dates from 1520, though the brick chimneys were added much later. We arrived on a rather grey and windy day, though the sun did appear later that afternoon. 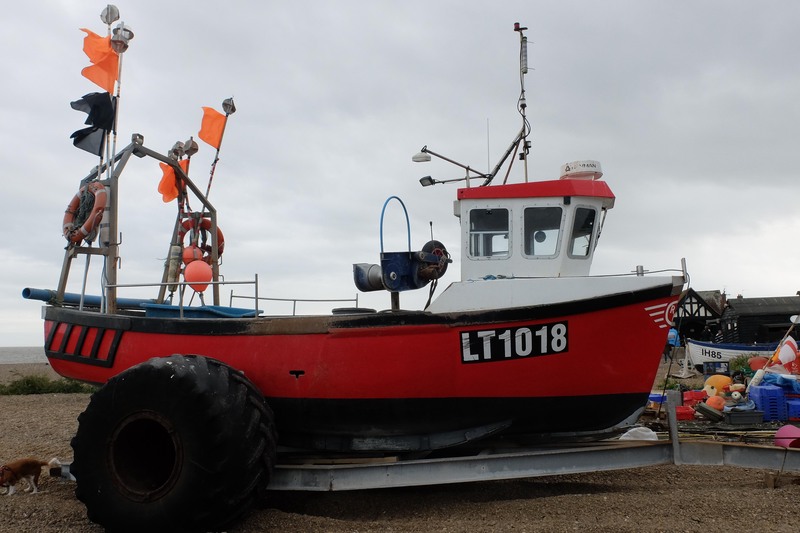 There is still a small fishing industry operating there. 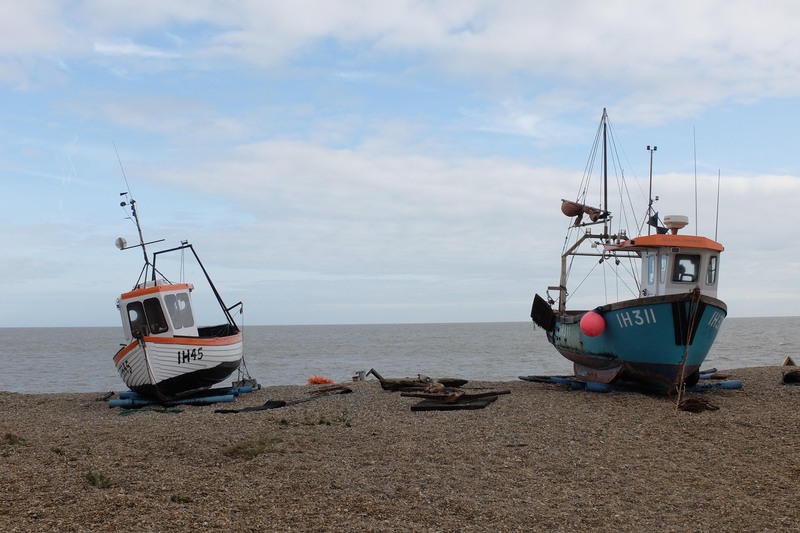 Because of the shingle beach, and the absence of a harbour, boats have to be lowered into and raised from the water, using tractors on the beach. 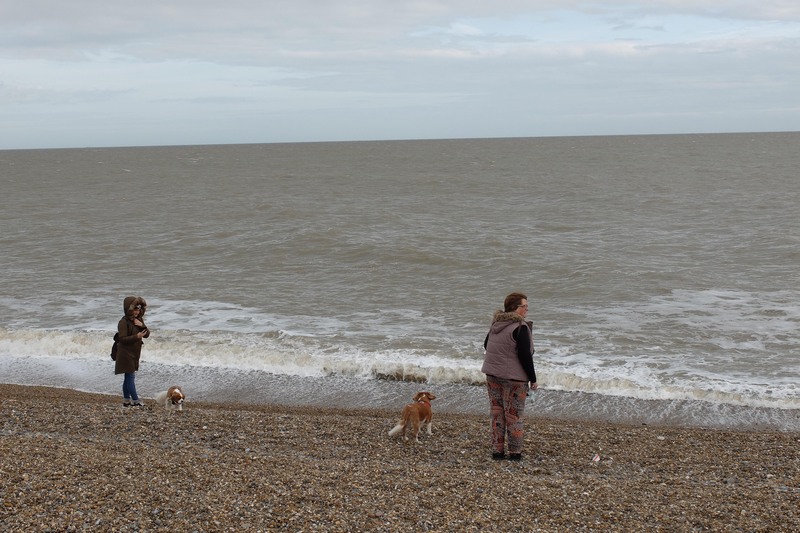 My cousin and her daughter took their spaniels down to the water. The dogs, Jess and Dennis, were enjoying the change of scene. 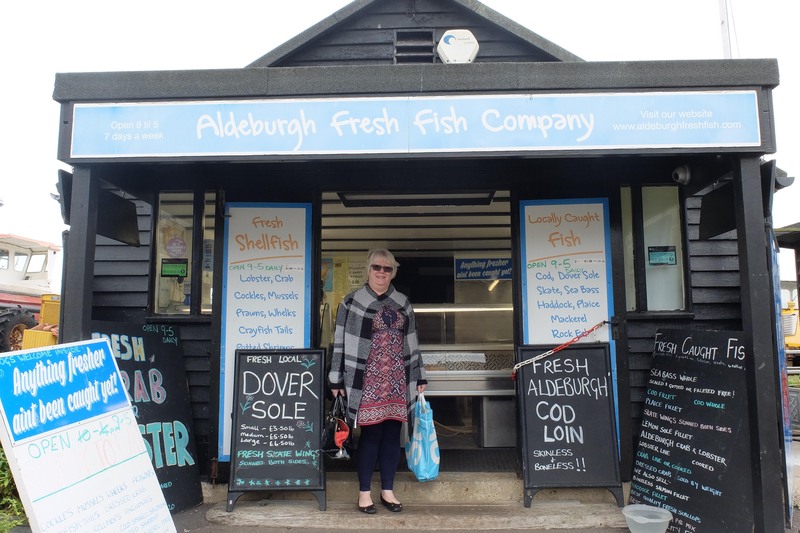 Meanwhile, Julie was browsing the fresh fish shops along the front, where she bought the ingredients to make a fish pie. 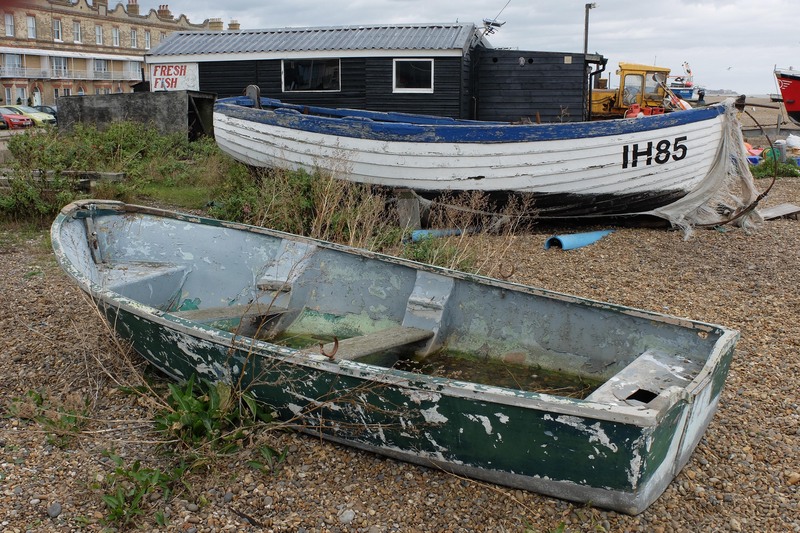 Not all of the boats there are seaworthy. These two look as if they have been abandoned to the elements. 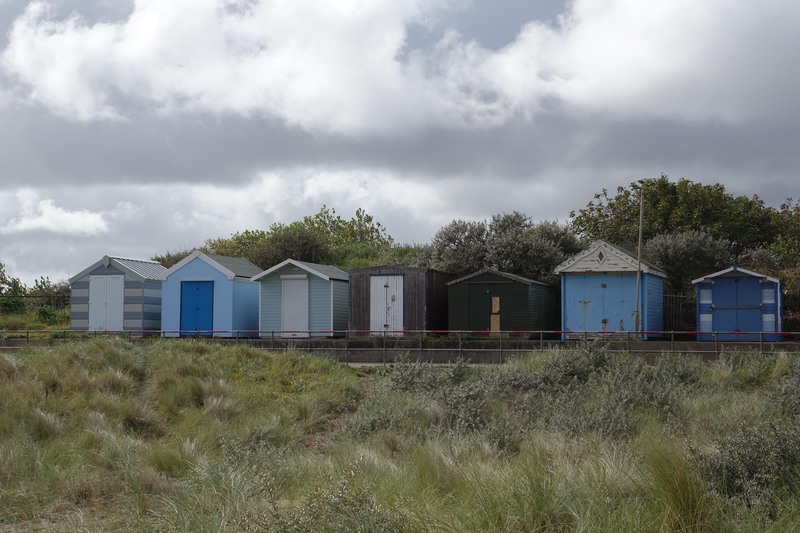 Aldeburgh (pronounced All-bruh) has enjoyed a recent popularity as a place where wealthy southerners buy second homes. House prices in the area have increased dramatically, and the shops in the town also reflect the needs of their rich customers. 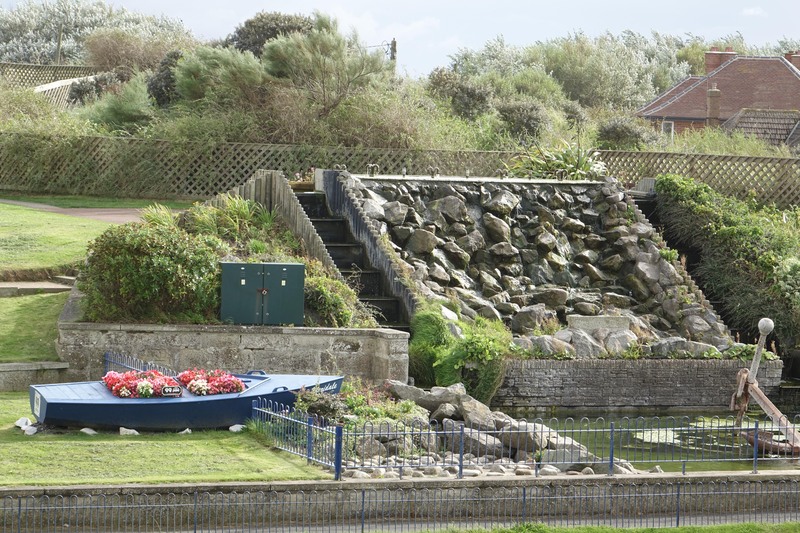 The town is mostly associated with the famous composer, Benjamin Britten. He went to live there in 1942, and later founded the renowned Aldeburgh Festival. He died there, and is buried in the town. It was also the home of Ruth Rendell, the popular author. 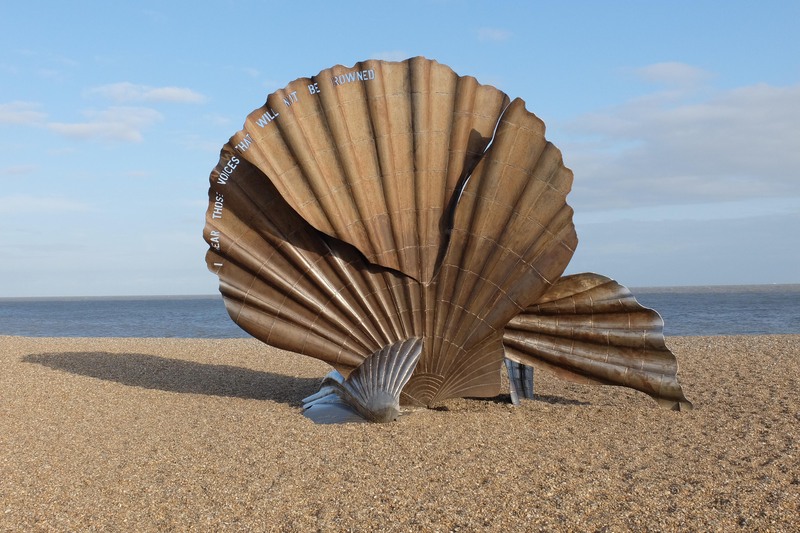 Along the beach is a sculpture in the shape of a scallop shell, erected as a tribute to Benjamin Britten. Despite looking dramatic in its isolated setting, many residents have complained about this sculpture, and it has often been vandalised. This is a section from Wikipedia, explaining the controversy. So, a snapshot of an attractive English town. If you are ever close by, I recommend a visit. *Photo information, for those interested. I used the Fuji X 30 camera that day, with all shots taken on Aperture Priority setting, mostly at F 5.6. I did not use any film simulation modes, just the standard setting. All these are straight j-pegs from the camera, with no alteration other than to reduce the file sizes by 50%. 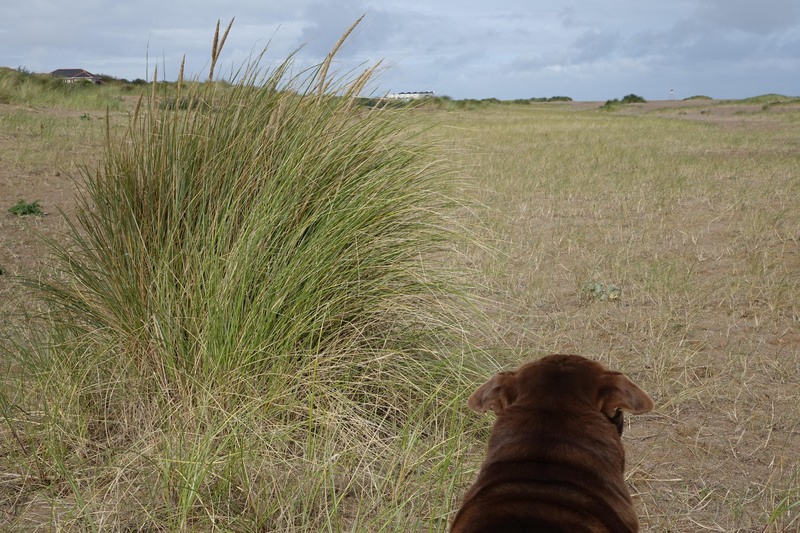 Ollie enjoying the view along the deserted beach. All photos can be enlarged by clicking on them, and look better that way. 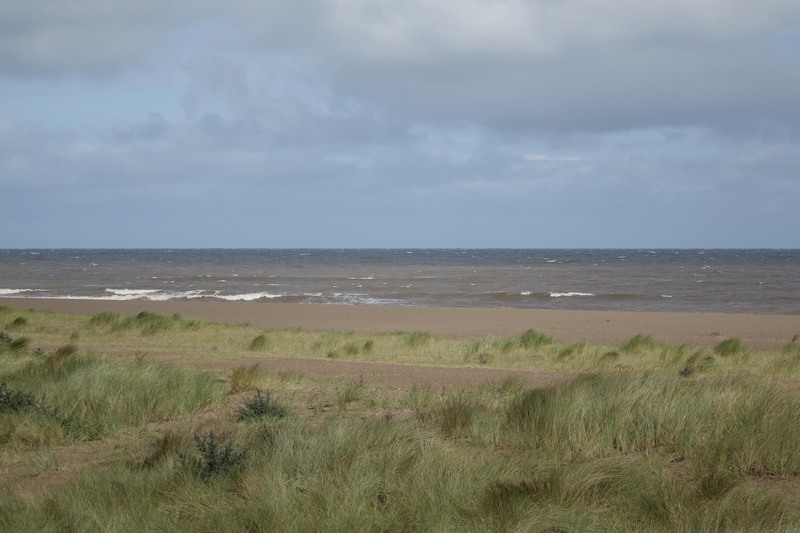 On our last day, we headed eight miles south, to the seaside village of Chapel St Leonards. This popular holiday destination is all but deserted out of season, and we took full advantage of being some of the few people there. Julie headed off to the shops to buy a new jacket, and I took a reluctant Ollie onto the beach. He didn’t settle though, and was constantly looking back, to see where Julie had gone. Along the promenade, closed-up beach huts set the mood, with threatening skies behind. 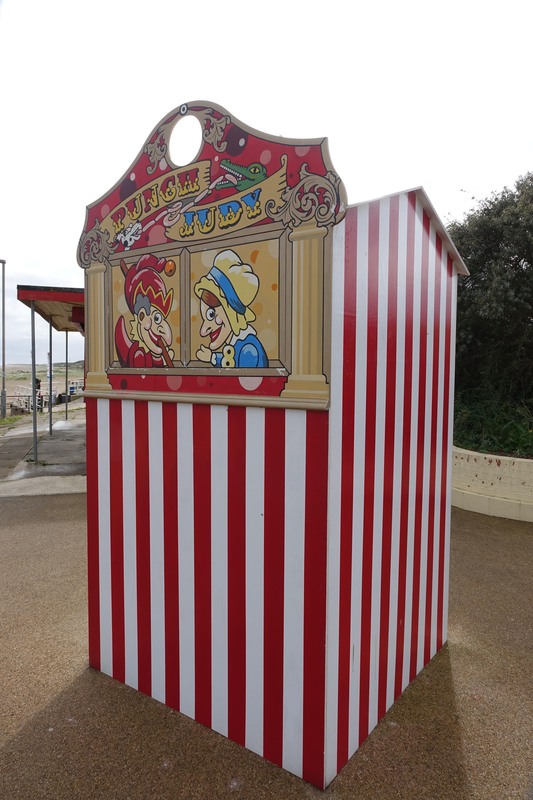 This theatre-style seating is for the popular Punch and Judy show. It could do with a clean. Like much of the rest of the places there, the Punch and Judy was closed. 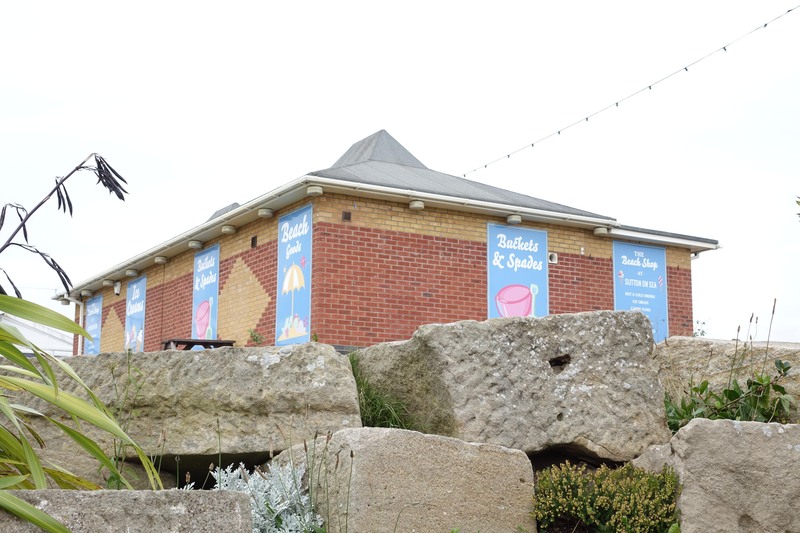 And the seafront cafe too. But not everything had finished for the season. The cafes in town were open, and we stopped for a hot drink. 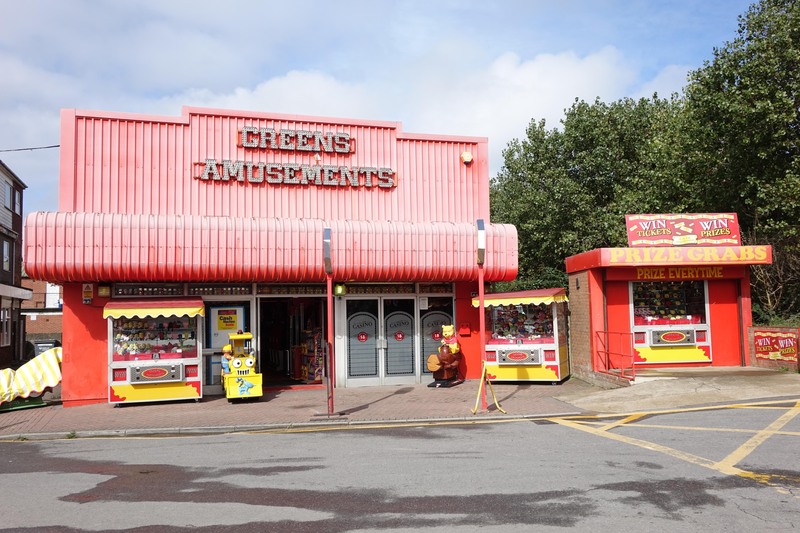 The small amusement arcade was still open too, a real British tradition. This is the last photo post from our short holiday. 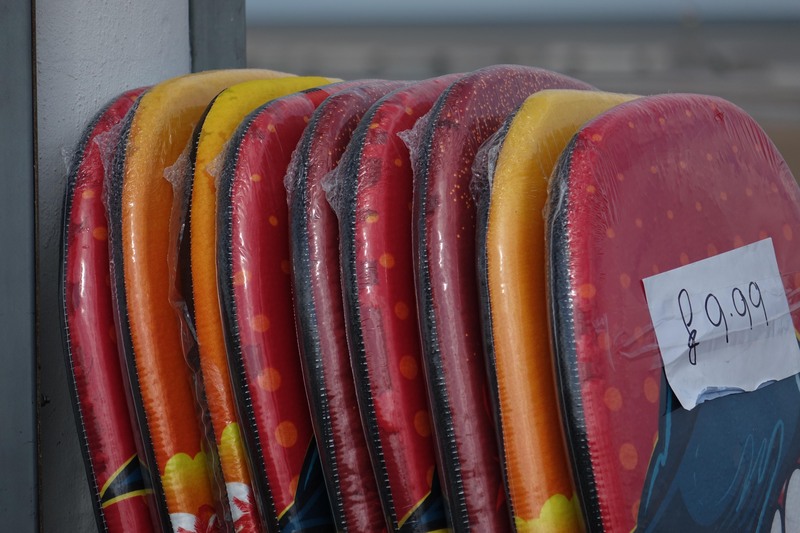 I hope that you enjoyed this look at the British seaside, out of season. Next time, I will ditch the Sony lens hood, and not keep getting it in the corner of some wideangle shots! All photos can be enlarged for detail, and look better that way. 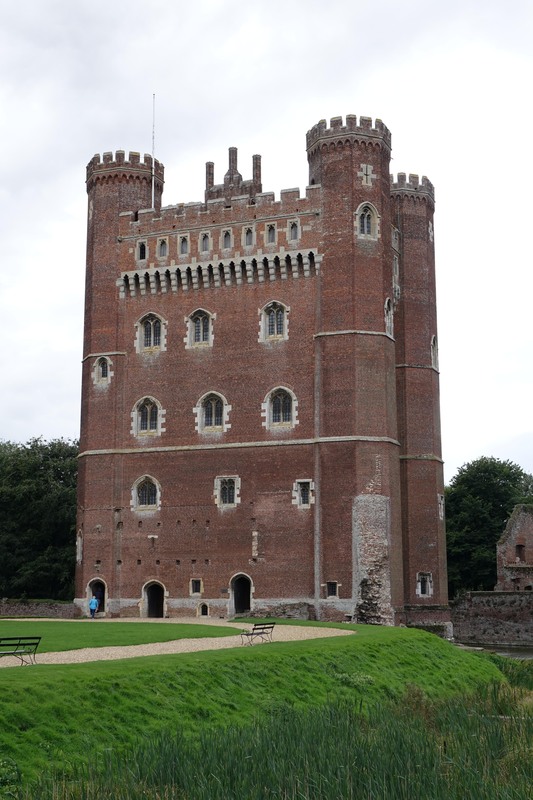 Across a double moat separating it from Holy Trinity Church, (see previous post) lies the imposing building called Tattershall Castle. Originally built as a defensive structure in the 13th century by Robert De Tatershales, (hence the name of the village) the present building is a fully-restored fortified house dating from 1434. 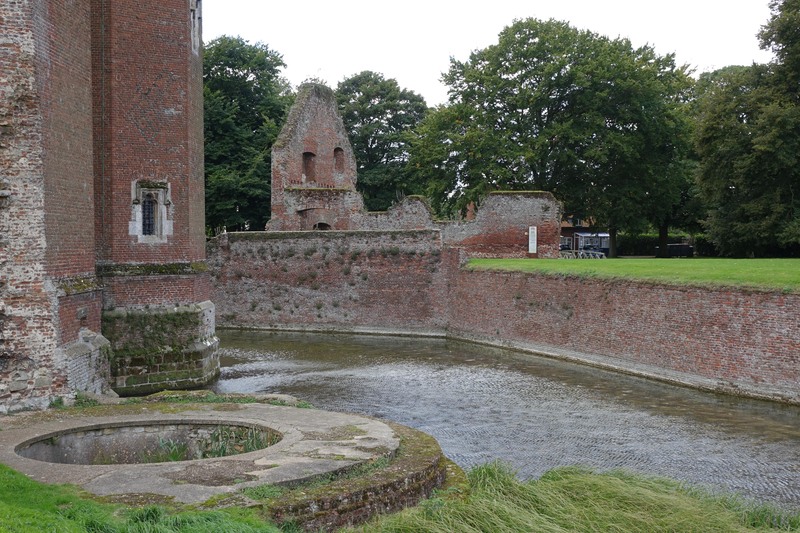 It was the home of Ralph, the 3rd Baron Cromwell, famous for its double moat and drawbridges. 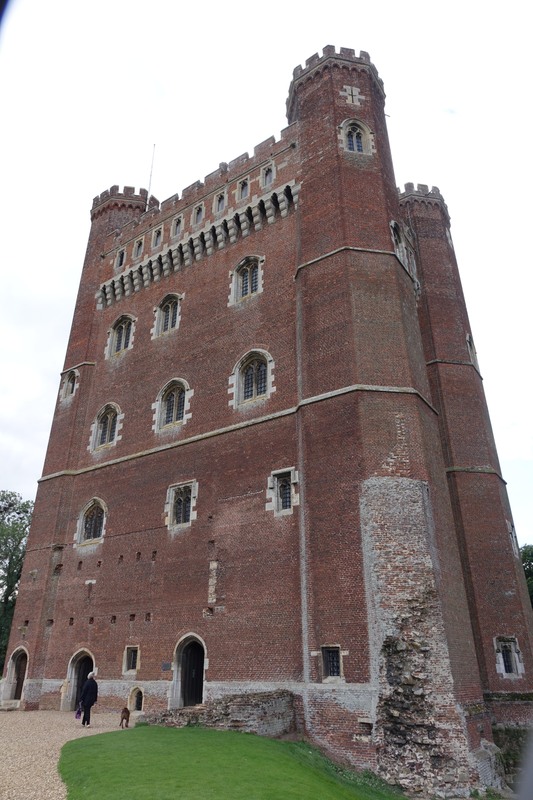 It is by far the finest example of a Medieval brick-built structure to survive in the UK. Closer to the castle, you can see Julie and Ollie admiring its grandeur. In the foreground, the circular stonework is all that survives of De Tatershales’ original fortress. 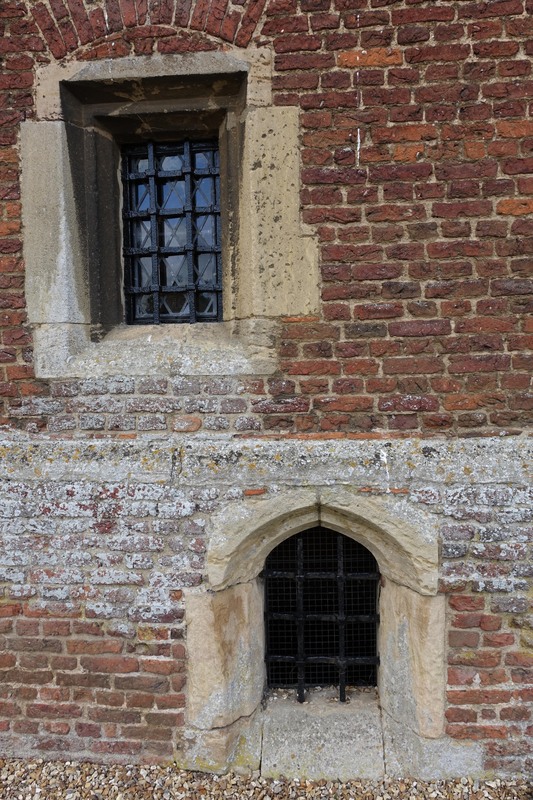 The lower window allows light into the cellar. Inside, the rooms on each floor have been left empty. 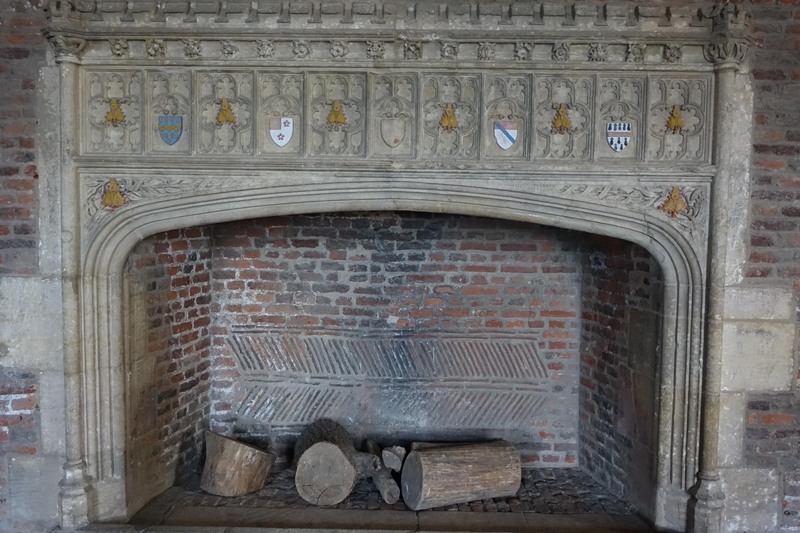 However, the wonderful fireplaces in the main rooms are still there to be admired. 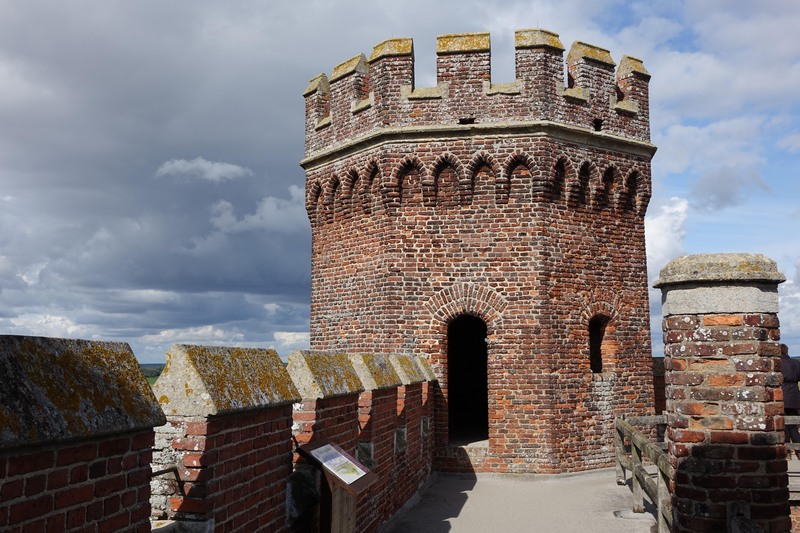 I was very excited to discover that visitors are allowed to access the roof and battlements. So with Julie taking Ollie on another tour around the grounds, I scampered up the 149 steps to the top, to be greeted by this lovely bastion. 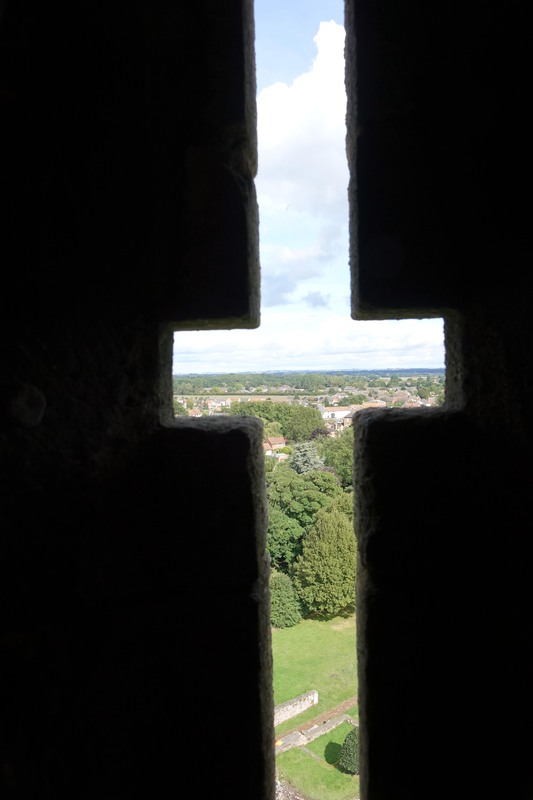 Inside that, I got an archer’s eye view from this place of safety. I really enjoyed that visit to the castle, especially as it didn’t rain until we got back to the car park! One more holiday post to come soon. 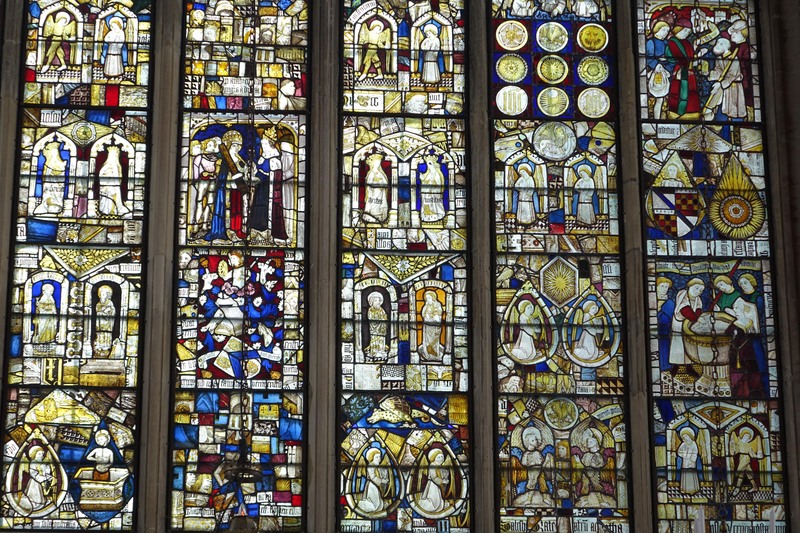 A not-quite level photo of some stained glass inside the church. 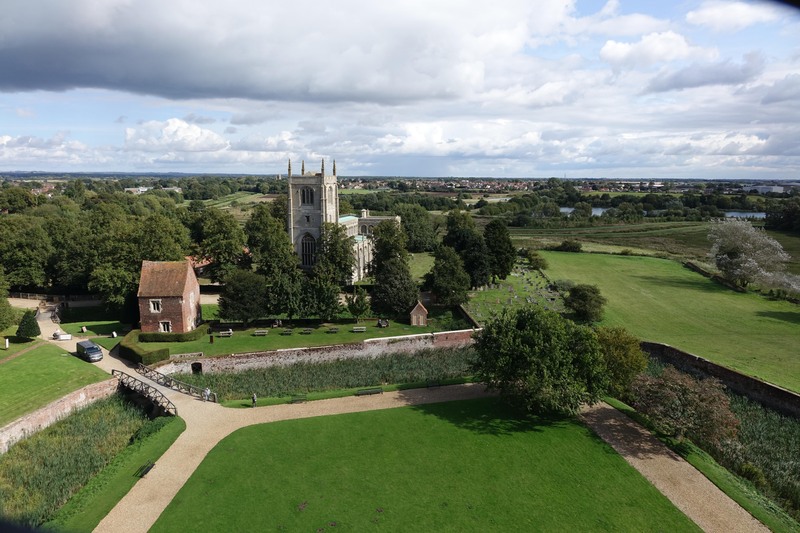 Situated next to the castle in the village of Tattershall, Holy Trinity Church dates from 1466. 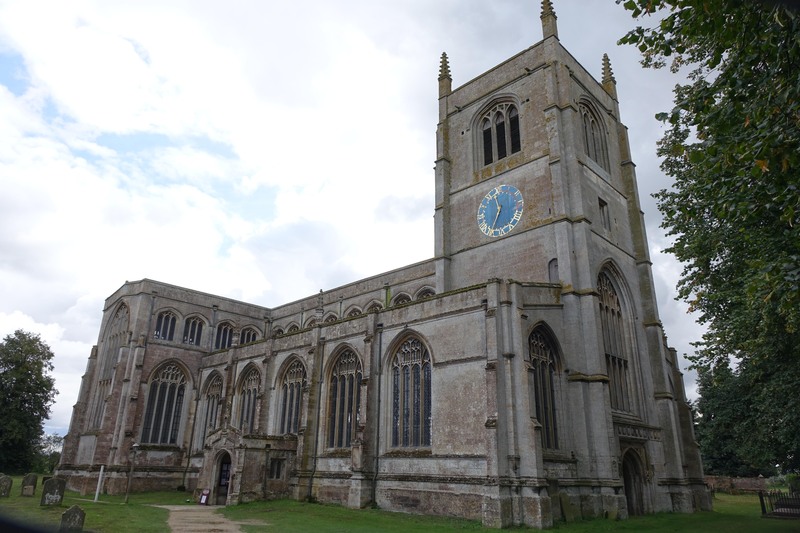 It is famous locally for being the home of various species of bats, and is one of the largest churches in the county. 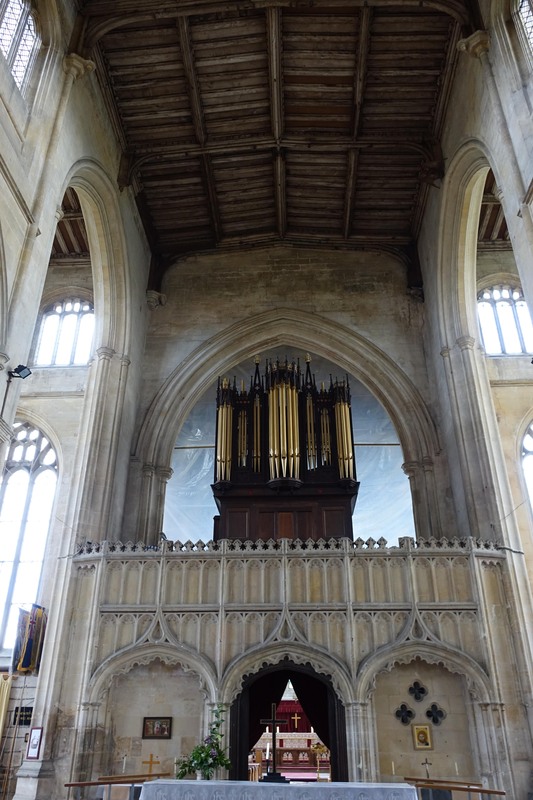 The church organ is huge, and very impressive as it dominates one end of the building. The interior is open to visitors, including dogs. Parts of the restored timber ceiling can be seen, along with the Gothic architecture. 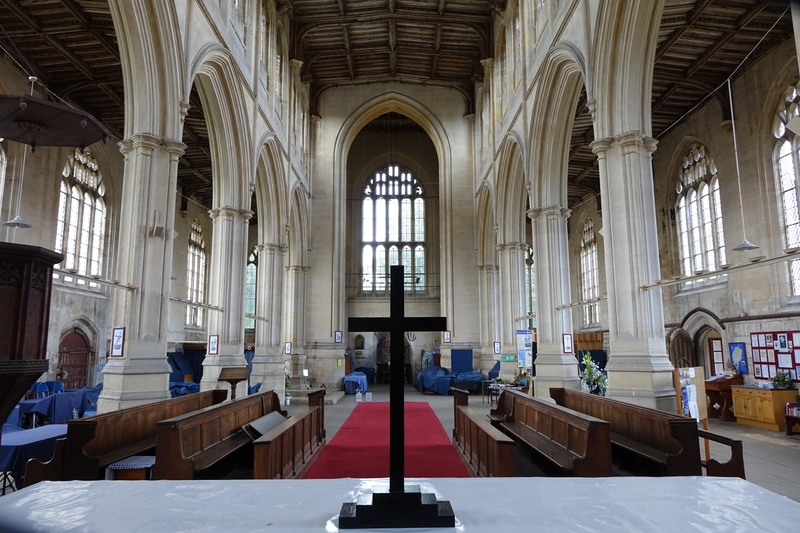 This was taken from the altar, which is covered against bat droppings! You can see many blue cloth coverings around the building, all because of the bats. The next post is about the adjacent castle. 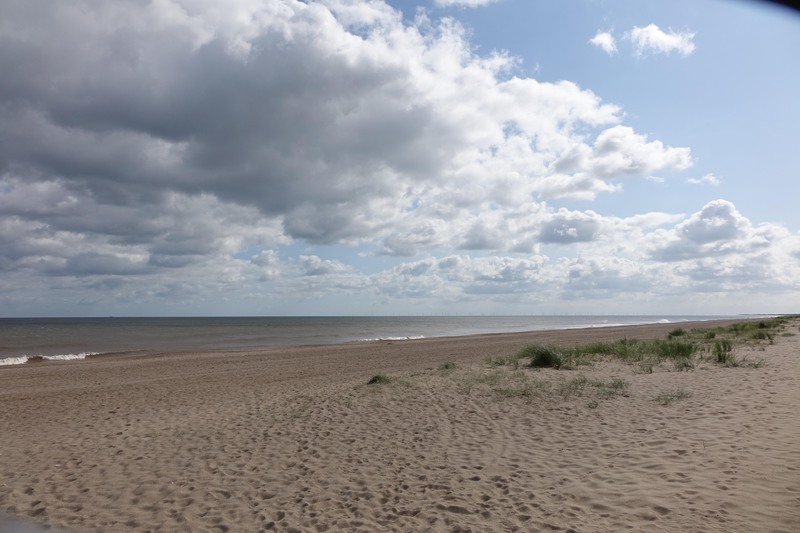 Walking along the the promenade to Mablethorpe on Tuesday, the clouds were mainly over the sea. If you enlarge the photo, you can see just a small section of the enormous offshore wind-farm in the distance. Halfway there, we stopped for a coffee at a beach cafe. 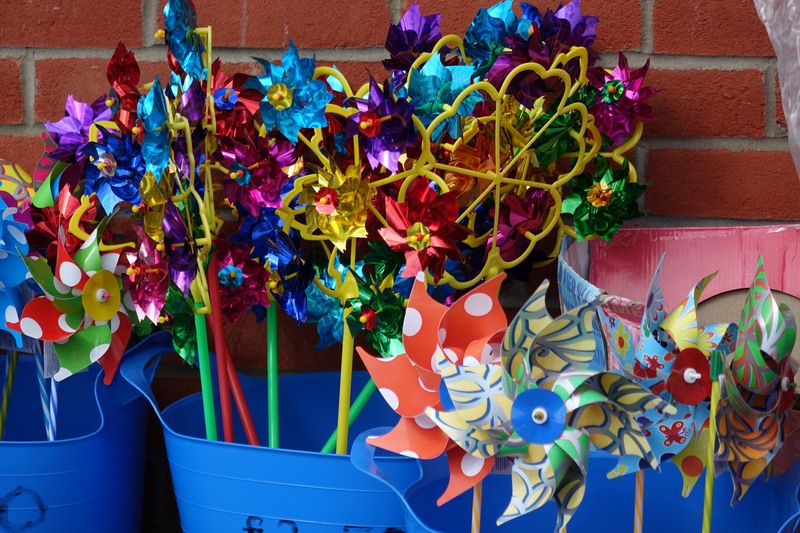 They were still trying to sell these beach windmills, despite a distinct absence of any children. And there were no takers for these foam boards at £9.99 either. Ollie was sitting by the table, and spotted another dog in the distance. This small town was the base for our recent holiday. 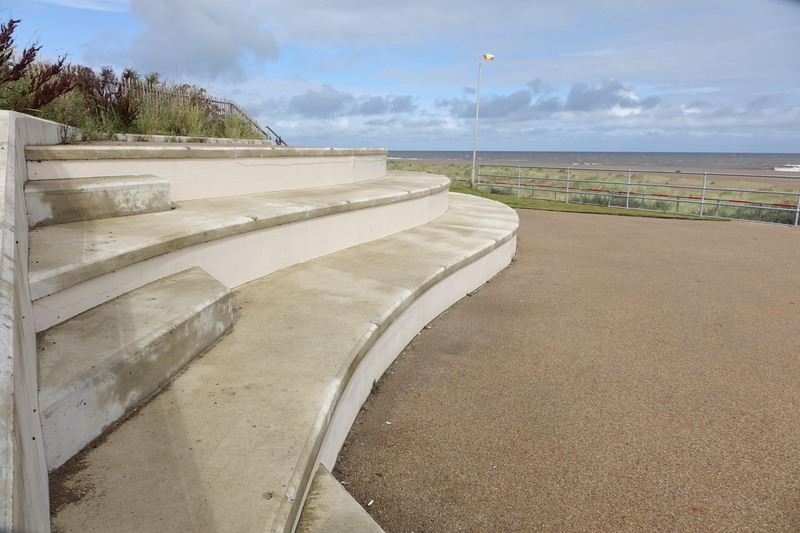 Situated between the large commercial resort of Skegness, and the traditional seaside town of Mablethorpe, it has remained unchanged for decades. 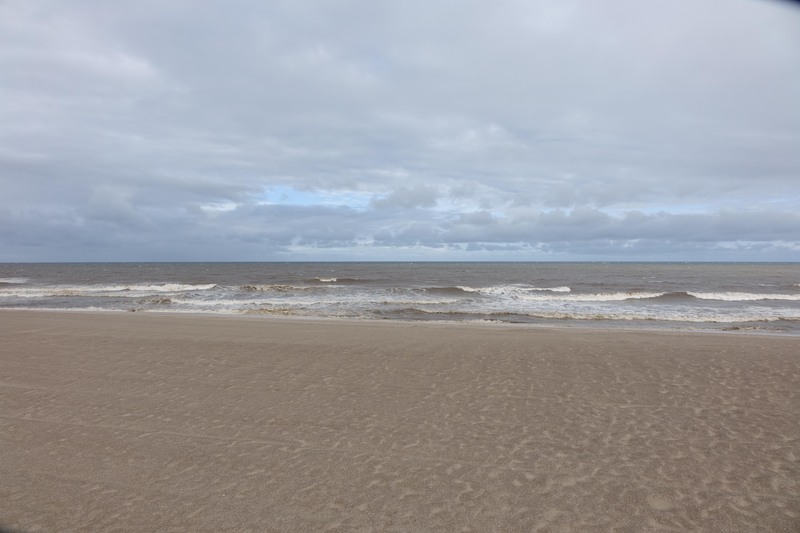 The beaches stretch for miles, and are mostly deserted, as you can see in the photo above. Unfortunately, the weather was rather bleak, as you can tell from the dull light in these pictures. All photos can be enlarged for detail by clicking on them, and look better that way. Nothing at all about this town is fancy, or pretentious. 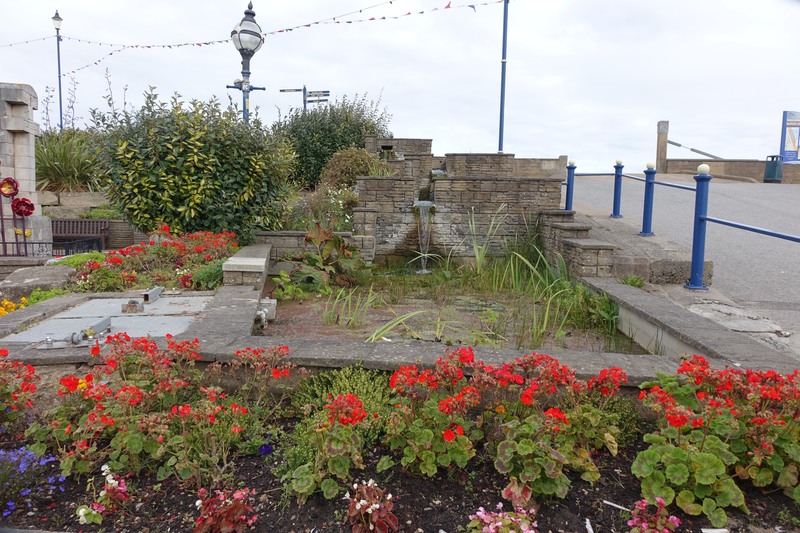 This water feature is by the side of the approach to the promenade. And this one is on the other side of the small playground and greens. As it was the end of the season, the beach shop was closed. I took this photo from the rock garden below. 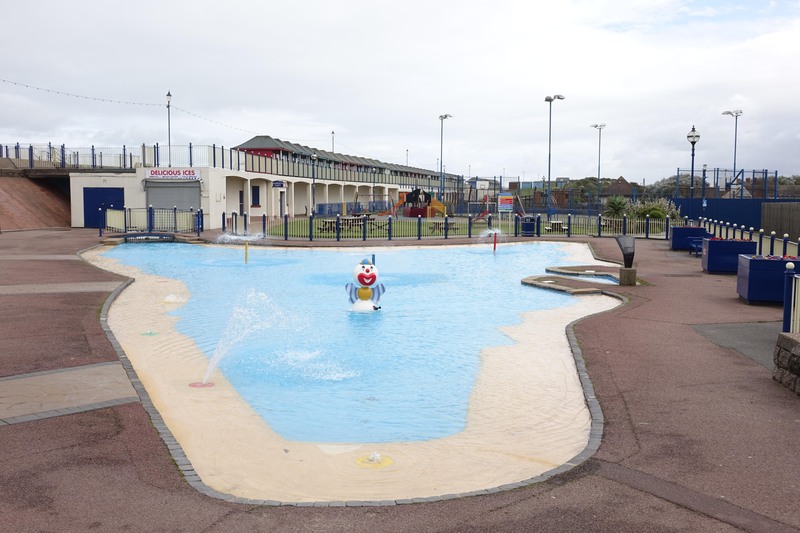 The simple children’s splash pool and play area was deserted in the late afternoon, on a chilly day. 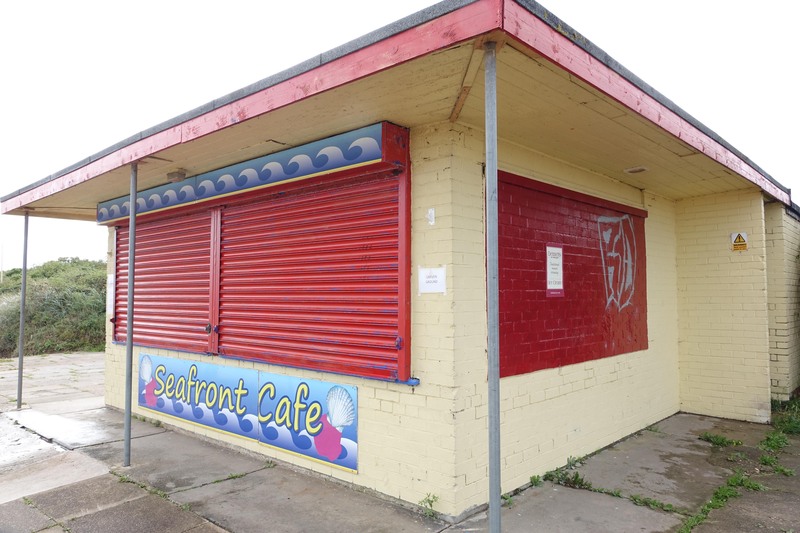 The ice cream and refreshments shop is also closed after the season, as you can see. 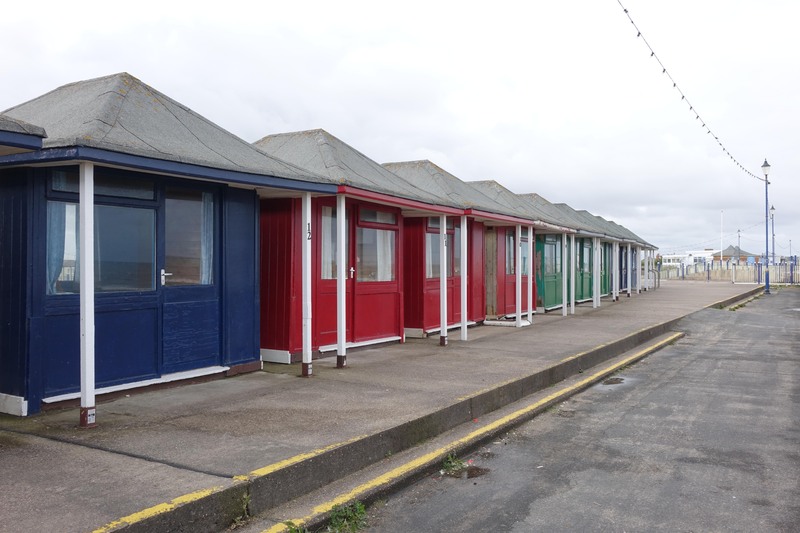 Rows of popular beach huts line the promenade. None were being used that day. 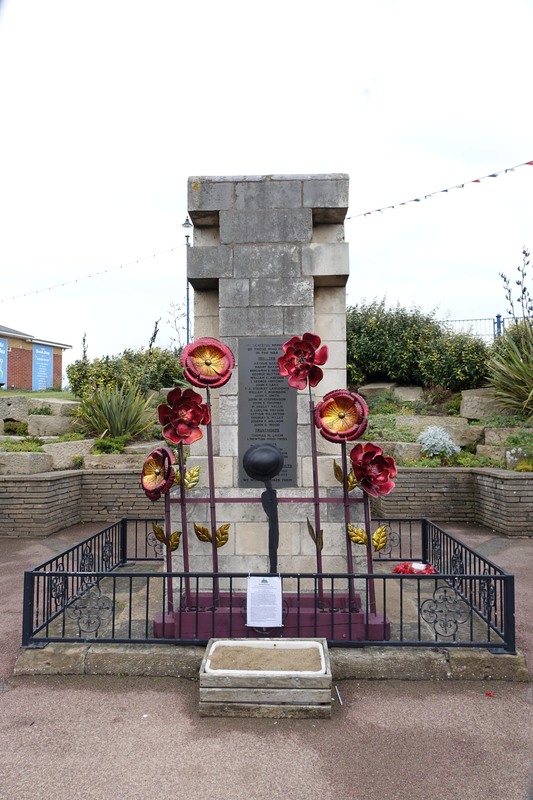 The town war memorial is unusually modern, with its sculpture poppies. If you fully enlarge the photo, you can read the names inscribed. 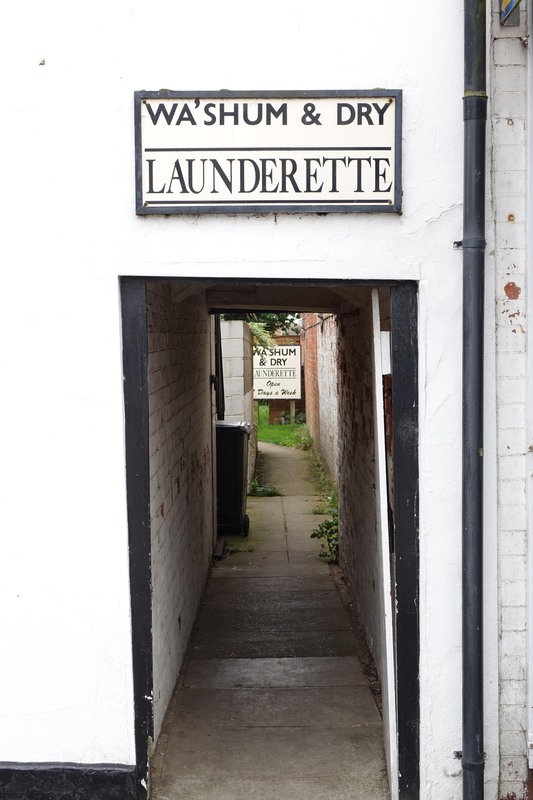 Along the high street, this alley leads to a laundromat that hasn’t changed in living memory. I love the name of the business. 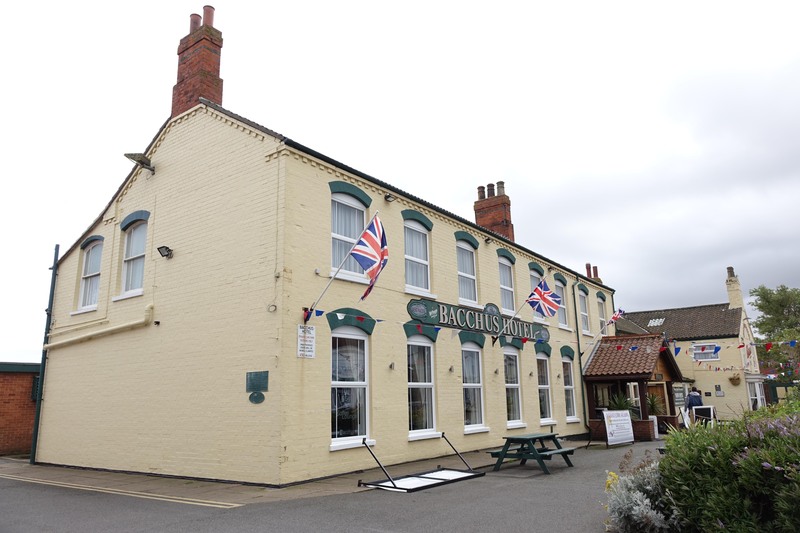 The Bacchus Hotel is the largest building in the town. It hosts weddings and functions, has a choice of restaurants, a well-stocked bar, and is a popular meeting place for holidaymakers and residents alike. Our holiday cottage was situated behind the hotel, next to the beer garden. It doesn’t look much, but was stocked with everything we needed, and had two large bedrooms. Converted from an old outbuilding of the hotel, it was just right for our short break.